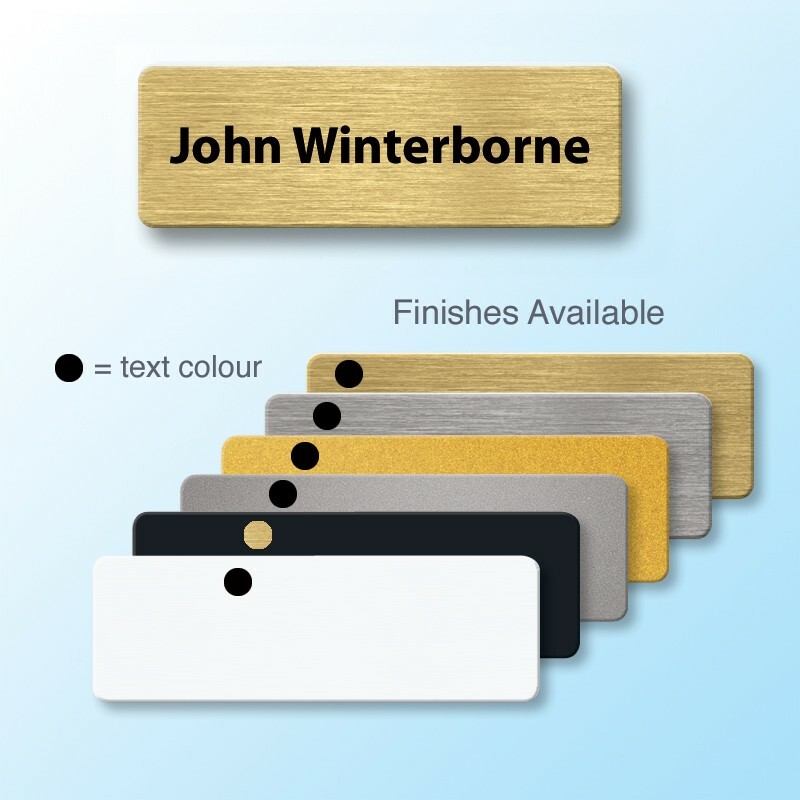 Executive Panel Badge 55x19mm - 1 line of personalisation. 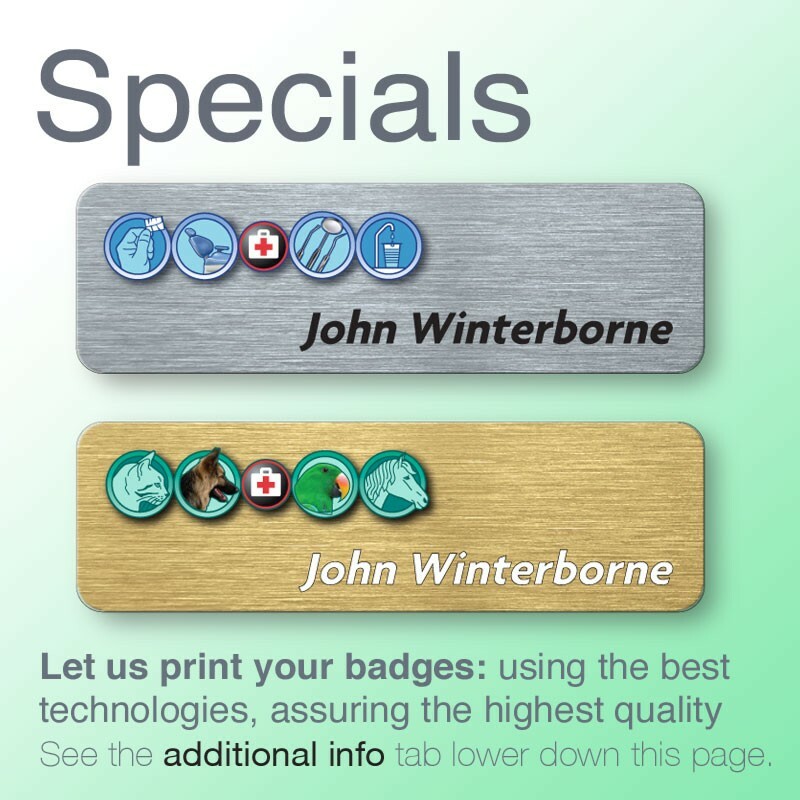 Gold, Silver or White Panel badge with1 Line of personalisation, just choose your font and add names. Quick turnaround. Help for personalising your item. To add the names or details for this item; please begin by clicking 'add new row'. Enter the text required and click submit. Repeat this process until you have reached your requirements. The quantity will automatically adjust to suit the amount of rows entered. nb. We will print the text as you have entered it. Please bear in mind your spelling and how you use upper and lower case. Please also note you can edit or delete badges using the pencil, and waste-bin icons. 55 x 19mm Executive Panel Badge - printed professionally for you; using the most up to date equipment. 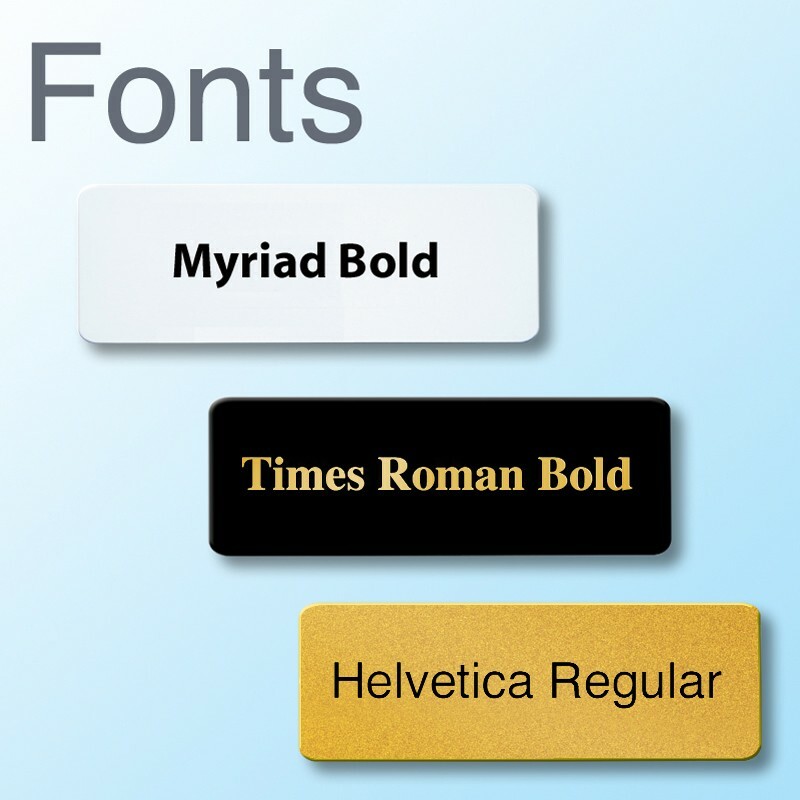 This badge suits up to 20 characters of text (24 max) on on a single line. Slim, lightweight and robust; a badge that will last. 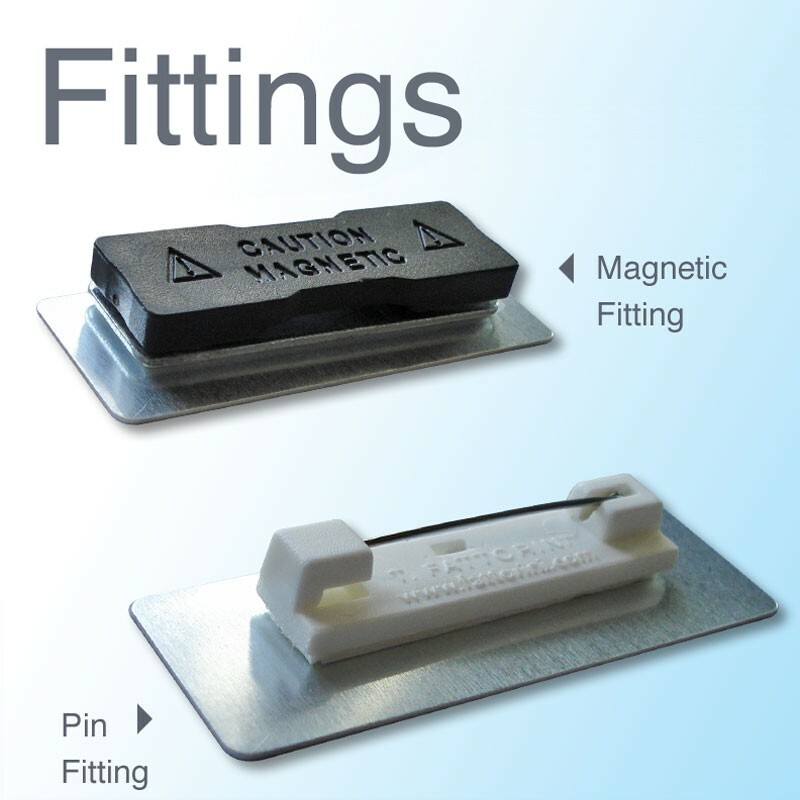 Available with a choice of fittings - Brooch Pin (built in) or Magnet (not for use with pacemakers). Made in the UK to quality assured standards (ISO 9001). Quick turnaround - usually within 2 working days. Why not let us print your logo too? • Are available in a range of stock shapes... or how about your own shape? let us help you make the right choice for your needs.